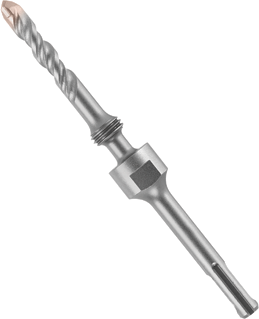 Bosch SDS-plus® thin-wall core bits are optimized for drilling with smaller hammers. Core body range is 1 In. up to 4-3/8 In. with a 3 In. usable cutting depth. Extension plus bit beyond 8 In. should not exceed 600 RPM.